Church, Anglican C18, Gothic Revival style; north aisle added in 1846 by Anthony Salvin. MATERIALS: squared and dressed local sandstone laid in regular courses with a plinth; stonework to the later north aisle is undressed and less regularly coursed. There are ashlar dressings, and roofs are of graduated Welsh slate. Windows have mostly stained glass, with the exception of the two in the north aisle. PLAN: Set at the west side of a roughly rectangular churchyard with west end facing the road. Four-bay nave with north aisle and west tower, with vestry attached to north side; narrower two-bay chancel with boiler room attached to the north side. EXTERIOR: all gables have moulded kneelers supporting copings with trefoil-carved ends, and all buttresses are angled and stepped with carved quatrefoils to their upper parts. All windows have hoodmoulds, mostly with simple mason stops. The south wall of the chancel has a pair of narrow, rectangular windows with ogee heads. The south wall of the nave has angle buttresses, and three windows in Decorated style; a lancet lights the fourth bay. The buttressed west tower facing the road has a saddleback roof and comprises three stages; the ground floor has a pointed-arch main entrance fitted with studded double wooden doors and a window in the form of a Greek cross with splayed ends to the south wall; the second stage has paired louvered lancet openings, and a bell is affixed to the north face, and the third stage has a pointed-arched opening with louvered plate tracery and carved kneelers. A single storey vestry is attached to the north wall of the tower; this has a gabled bay with paired pointed arched windows, quatrefoil above and a shoulder-arched door to the left. The east end of the nave has a convex-sided triangular window with trefoil tracery at its apex, and a large Decorated east window with hoodmould and carved head stops; there is a stone cross finial at the apex. The north wall of the chancel is blind and has a partly subterranean boiler house attached, and the north elevation of the nave has rectangular windows comprising triple lancets with multi-foil heads; there is a single chimney stack to the west end and a stone cross finial to the east end. INTERIOR: The pointed chancel arch springs from clustered columns, and has a hoodmould with carved head stops. The Sanctuary has half oak panelled walls incorporating a top frieze of floral and foliate bosses, with plainly painted walls above. It has a terrazzo floor and a timber vaulted ceiling, and is top-lit by a line of rectangular clerestory windows. The stained glass of the east window is by William Wailes and depicts Christ flanked by St Joan and St Peter. The oak reredos is intricately carved with foliated pinnacles and there are riddel posts surmounted by carved angels to either side of the altar, and a carved altar rail to the front. The nave walls are of exposed stonework, with a stone floor and vaulted timber ceiling, and it is top-lit by rectangular clerestory windows. To the right of the chancel arch is a carved oak pulpit set on a stone plinth formed of C18 tombstones. To the left of the arch there are a pair of oak choir stalls with carved ends. The body of the nave is filled with plain benches with shaped ends. The west wall is pierced by a large pointed arch fitted with geometric double timber and glass doors with sidelights, leading into the ground floor of the tower. The scar of a former roof line is visible in the upper part as is a blocked opening. The north aisle with a scissor-braced roof is separated from the nave by a pointed-arch arcade carried on octagonal columns and capitols. The westernmost bay houses a baptistery entered through a carved oak screen with intricately carved half doors; the floor comprises a number of medieval cross slabs and C17 and C18 tombstones; a carved stone font is set upon an inserted stone platform. The bay to the right houses the very large organ with the inscription ‘Te Deum Laudamus’ across its front with gothic timber screens to three sides. Affixed to the walls are several memorials and plaques including one in the form of a draped urn to George Culley (d 1849), and the lancet window in the south nave wall has a stained glass depiction of St George as a memorial to another descendant of the Culley family. SUBSIDIARY FEATURES: the churchyard is surrounded on three sides by a simple drystone wall; on the west side, the wall is of dressed blocks with stone copings and stepped upslope to the left. The main entrance to the main west door is flanked by rectangular gate piers surmounted by carved caps incorporating a trefoil decoration, and there is a narrower entrance to the churchyard to the right; both openings are fitted with wooden gates. Holy Cross Church was constructed between 1763 and 1770 to replace a ruined C13 church on the same site. In 1846 Anthony Salvin, then architect to the Duke of Northumberland at Alnwick Castle, added a north aisle. The stained glass of the east window and south chancel was inserted in 1851 by the well-respected and successful regional stained glass artist William Wailes. In 1895, the reredos by Arthur Moore was presented by the Culley family. In 1897, the Diamond Jubilee year of Queen Victoria, the south nave windows were replaced, a saddleback roof was added to the tower, a small window in the tower was re-glazed, a bell was added to the north exterior of the tower and part of the north aisle was enclosed to form a baptistery. Subsequent additions have included a vestry to the north of the tower, early to mid C20 riddel posts to the High Altar and a clock to the tower in 1901. The organ by G. M Holditch of London (1816-96) installed in Salvin's 1846 north aisle, is believed to have come from an Oxford University College. As his entry in the Oxford Dictionary of National Biography (ODNB) makes clear, Anthony Salvin was a much respected architect and seen as an expert on medieval buildings. His commissions were many and varied including Harlaxton Manor, Lincolnshire, and in all he designed 34 new churches, the latter drawing on his medieval expertise. Many commissions related to the restoration of castles and churches including Windsor and Alnwick Castles and Norwich Cathedral. By the end of his career, he was held in high regard, although his approach of removing earlier work rather than retaining it, has been questioned subsequently. 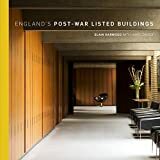 He has dozens of listed buildings to his name, many in the higher grades. The church is associated with the Culley family of nearby Fowberry Tower; Matthew (1731-1804) and George (1735-1813) are entered in the ODNB and contributed to the English C18 agricultural revolution by improving methods of soil cultivation and stock breeding, especially of sheep. In 1767 George purchased the nearby Fowberry Estate as his family farm where they began to practise improved agricultural techniques. George Culley became a respected agricultural author with work including the reports to the board of agriculture for Northumberland and Cumberland, co-authored with John Bailey. Neither brother is commemorated in the church although some of their descendents are commemorated in memorials, stained glass and gifts of fittings. * Historical: the church’s association with George and Matthew Culley, and the memorials to their descendents conveys a measure of historic interest.